Mateo Pavlovic (Angers) takes the rebound on the edge of the box and fires the ball just over the crossbar. Flavien Tait (Angers) crosses the ball into the box from the free kick, but the defence clears the danger. Falcao (Monaco) deprives his opponent of the ball, but the referee blows his whistle for a foul. He's not happy with the decision! It's a free kick to Angers, but it's in no position for a direct shot on goal. Fode Ballo Toure (Monaco) whips the ball into the penalty area, but one of the defenders is alert and spanks it away. We are about to witness a subsitution. Romain Thomas for Stephane Bahoken (Angers). The referee signals that it is time for a substitution and Nacer Chadli is coming onto the pitch as Aleksandr Golovin (Monaco) cannot continue after picking up an injury. Gelson Martins (Monaco) gets the ball and drives a shot high over the bar from the edge of the area. 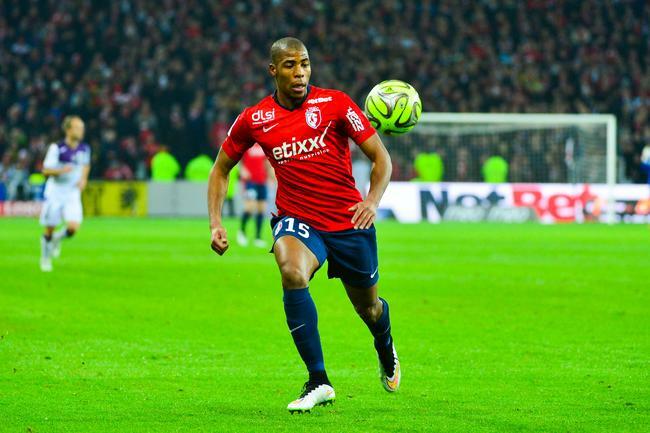 Djibril Sidibe (Monaco) swings a cross into the box, but it's far too close to Ludovic Butelle, who smothers the ball. Today's referee Antony Gautier rightly decides to book Falcao (Monaco) for his harsh tackle. Goal! Falcao (Monaco) runs up to the ball, stops and waits for Ludovic Butelle to commit before slotting the penalty into the bottom right corner. Falcao (Monaco) is going to take the penalty! Referee Antony Gautier is happy with his original decision after the VAR review. It’s a PENALTY to Monaco! Celebrations by Monaco are cut short as the referee signals that the penalty decision will be checked using the VAR. Hopefully it won’t take too long. Ismael Traore (Angers) commits a minor foul to interrupt the attacking move of his opponent and is warned by the referee that he will get a yellow card if he does it again. PENALTY to Monaco! An attempted cross from Flavien Tait (Angers) is cleared. Antony Gautier blows for a foul after Kamil Glik (Monaco) was too aggressive in the battle for the ball. Angers have been awarded a free kick. Cesc Fabregas (Monaco) tries to find Falcao, but he puts too much power on the through ball. Some patient build-up play from Monaco as they look to unlock the defence. Carlos Vinicius (Monaco) unleashed a monstrous piledriver. He controlled a pass, glanced up at goal and shot from the edge of the box. It could have been a difficult one for the keeper, but the ball fortunately hit one of the defenders and ball bounced away. Farid El Melali (Angers) goes on a solo run, but he fails to create a chance as an opposition player blocks him. The ball goes out of play and Monaco will have a goal kick. Danijel Subasic pulls off a fantastic save! Cheikh N'Doye (Angers) attempts to head home after a precise cross into the box. He aims his header low towards the right post, but the effort is kept out. Here is a change. Thomas Mangani (Angers) is going off and Stephane Moulin gives the last tactical orders to Farid El Melali. Cesc Fabregas (Monaco) fails to deliver a cross from the free kick as his attempt is thwarted by the opposition's defence. A yellow card for a tackle by Vincent Manceau (Angers). Antony Gautier doesn't hesitate at all to make this decision. Antony Gautier blows his whistle and signals a foul after Vincent Manceau (Angers) brought his opponent down. Another situation results in a direct free kick for Monaco. Stephane Bahoken (Angers) misses a good chance to score. An inch-perfect cross into the box finds Stephane Bahoken (Angers) who rises for a header, but sends the ball well over the bar. The referee signals that it is time for a substitution and Carlos Vinicius (Monaco) comes onto the pitch so that Rony Lopes can be given a rest. Cesc Fabregas (Monaco) fails to convert a close-range free kick as he sends the ball narrowly over the bar. Mateo Pavlovic (Angers) commits an ugly challenge. The referee sees it and immediately blows his whistle. Monaco are awarded a free kick from a dangerous position. A cross from a mid-range free kick, taken by Angers, is intercepted by one of the defenders. Benoit Badiashile (Monaco) can't expect anything else than a yellow card for his hard tackle. And a yellow it is. Antony Gautier didn't think twice about pulling it out of his pocket. Gelson Martins (Monaco) serves up a nice cross, but Ludovic Butelle punches the ball away. Aleksandr Golovin (Monaco) receives a pass and decides to smash the ball from long range, but his poor effort sails high over the bar. A pass into the box finds Gelson Martins (Monaco) unmarked. He carefully places a shot towards the roof of the net, but a brilliant last-ditch save by Ludovic Butelle denies him. Stephane Moulin has decided to make a change. Jeff Reine-Adelaide replaces Angelo Fulgini (Angers). Antony Gautier shows the yellow card to Kamil Glik (Monaco) for a heavy challenge. Fode Ballo Toure (Monaco) swings a cross into the box, but it's far too close to Ludovic Butelle, who smothers the ball. Falcao (Monaco) is deemed to be in an offside position by the linesman and it looks like it is the right decision despite being a very close call. The cross into the penalty area from Rony Lopes (Monaco) needed to be more accurate in order to create a goal-scoring opportunity for his team. The free kick from long range, taken by Angers, is overhit and the ball goes out of play. The ball is off of the pitch and it's a goal kick for Monaco. Kamil Glik (Monaco) was too forceful with his tackle and Antony Gautier interrupted the game to signal a free kick. Angers have a free kick. Falcao (Monaco) latches on to a precise pass deep inside the box from Aleksandr Golovin, and he beats the goalkeeper with a low accurate shot into the bottom left corner. He makes it 2:1. The Monaco players are exchanging short passes in an attempt to create a shooting opportunity. Antony Gautier has ended the first half by blowing the whistle. The ball rebounds and arrives at the feet of Flavien Tait (Angers) just outside the box. He doesn't think twice and fires a great shot into the bottom right corner. His attempt was beyond the reach of Danijel Subasic, so the score changes to 2:0. The referee stops play as the linesman flags Stephane Bahoken (Angers) offside. Cesc Fabregas (Monaco) overhits the corner kick and none of his teammates can their head on it. Rony Lopes (Monaco) puts a cross into the box from the free kick but it's cleared. The ball goes behind for a corner. Monaco will have an opportunity to threaten the opposition's goal. Rony Lopes (Monaco) gets on the ball and beats an opponent, but his run is stopped by the referee Antony Gautier who sees an offensive foul. Stephane Bahoken (Angers) receives a pass inside the box, controls the ball and drills it towards the left post. Unfortunately for him, Danijel Subasic makes a great save to stop his effort. Cesc Fabregas (Monaco) collects a pass on the edge of the box and unleashes a low drive to the middle, but Ludovic Butelle makes a save. The defence is alert as they clear a dangerous cross from Gelson Martins (Monaco). Cesc Fabregas (Monaco) works the corner short. Cesc Fabregas (Monaco) attempts to find the head of one of his teammates with a promising cross into the box, but a defender outjumps the attackers and averts the threat. It will be a corner kick for Monaco. A spell of possession for Monaco in an attempt to control the game. Rony Lopes (Monaco) sends a teasing cross into the area, but Ludovic Butelle intercepts the ball. The ball is laid off to Gelson Martins (Monaco) on the edge of the box. He shoots through a crowd of players low towards the middle of the goal and forces Ludovic Butelle to make a decent save. The game is interrupted as Aleksandr Golovin (Monaco) is flagged offside. An amazing individual effort from Flavien Tait (Angers) ends with a strike from inside the penalty area. He sends the ball low into the middle of the goal and makes it 1:0. Danijel Subasic was helpless. Kamil Glik (Monaco) makes a good run into the box and unleashes a powerful header in the centre of the box from the corner, but it rises well over the bar. Aleksandr Golovin (Monaco) sends a cross into the box, but the opposition's defence quickly intercepts the ball. Monaco have been awarded a corner kick. Falcao (Monaco) attempts to find Rony Lopes with a delicate little through ball from inside the box, but one of the defending players makes a timely intervention. Antony Gautier shows a yellow card to Abdoulaye Bamba (Angers) for a tough tackle. Gelson Martins (Monaco) delivers a promising cross into the box, but it's cleared. Thomas Mangani (Angers) delivers a lovely cross into the penalty area. Nevertheless, an opposition defender is alert and averts the danger with a brilliant clearance. Stephane Bahoken (Angers) sends a cross into the box, but Danijel Subasic comes off his line to gather the ball. Flavien Tait (Angers) skips perfectly past challenges but misdirects his shot from the edge of the box. The ball flies a few yards wide of the right post. A pass from Fode Ballo Toure (Monaco) is intercepted by Ludovic Butelle and the move breaks down. Thomas Mangani (Angers) picks up a sweet pass and fires one in from distance towards the bottom right corner, but Danijel Subasic is alert and makes a decent save. Falcao (Monaco) times his run too early and the linesman raises his flag for offside. Cheikh N'Doye (Angers) commits a foul and Antony Gautier immediately signals a free kick. Angers are showing great team chemistry. They are passing the ball around seamlessly. Angers take the corner, but their hopes of scoring a goal end with a nice clearance by the defence. Stephane Bahoken (Angers) looks to break free, but an opposing player clears the ball away. The ball goes out of play and Angers have been awarded a corner kick. Monaco will kick the game off. Let us introduce today's referee to you, and it's Antony Gautier.